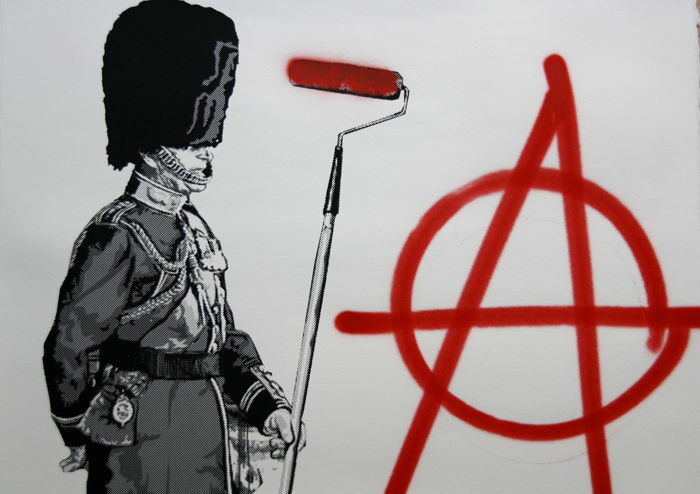 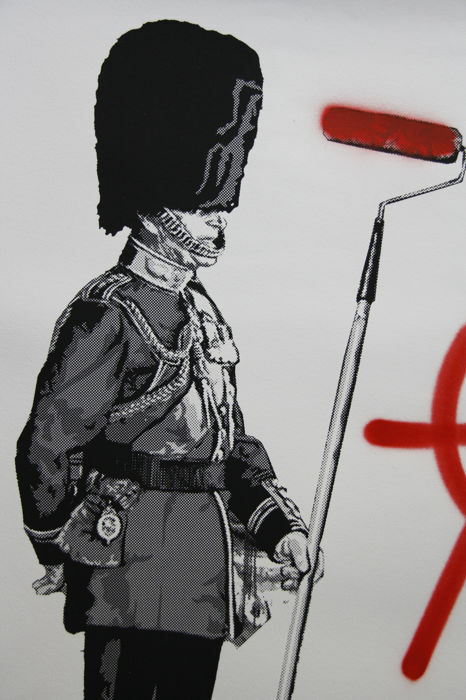 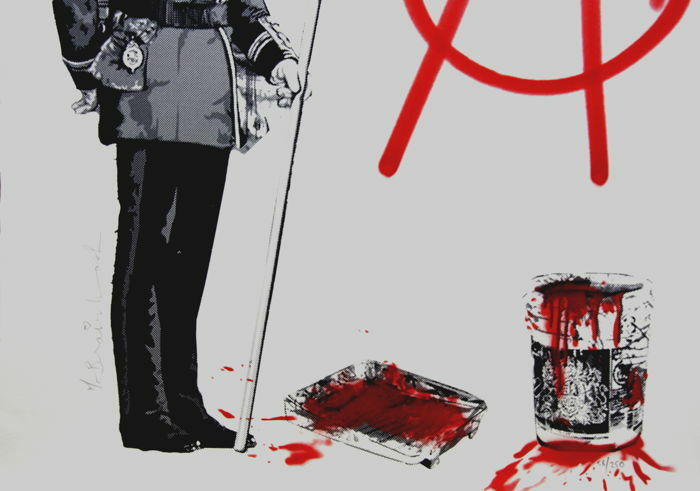 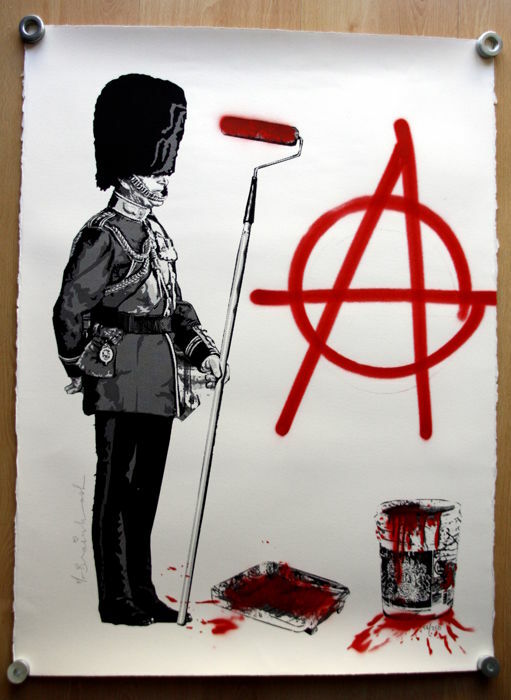 Mr Brainwash - Anarchy Soldier. 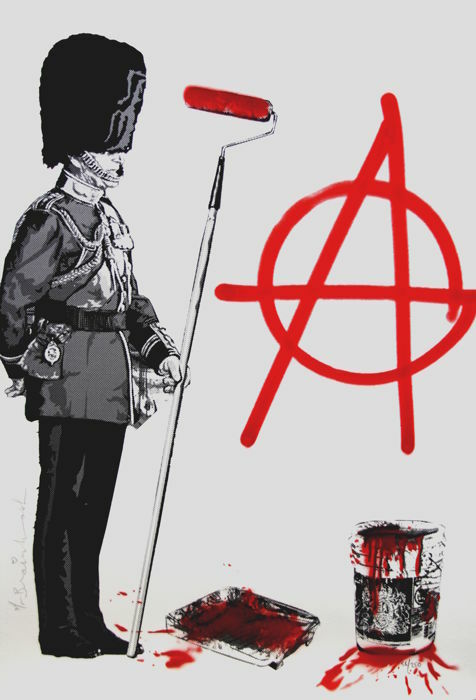 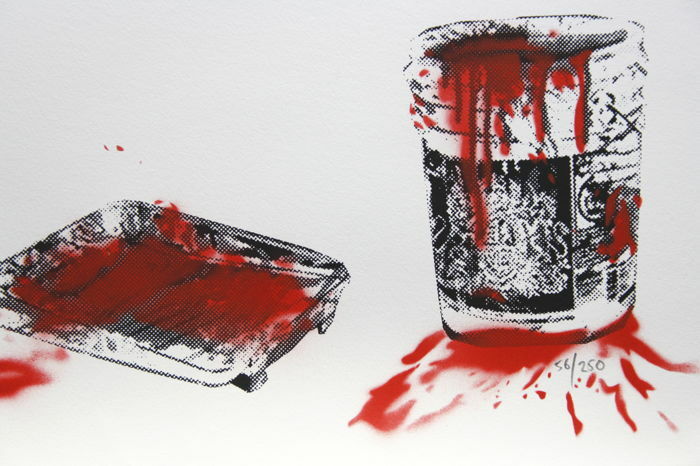 Mixed media silkscreen print on archival paper with the Anarchy sign hand sprayed by the artist. 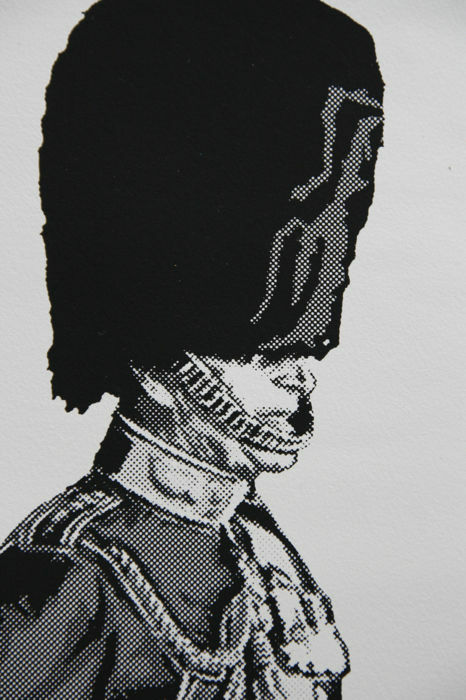 Each print is unique! 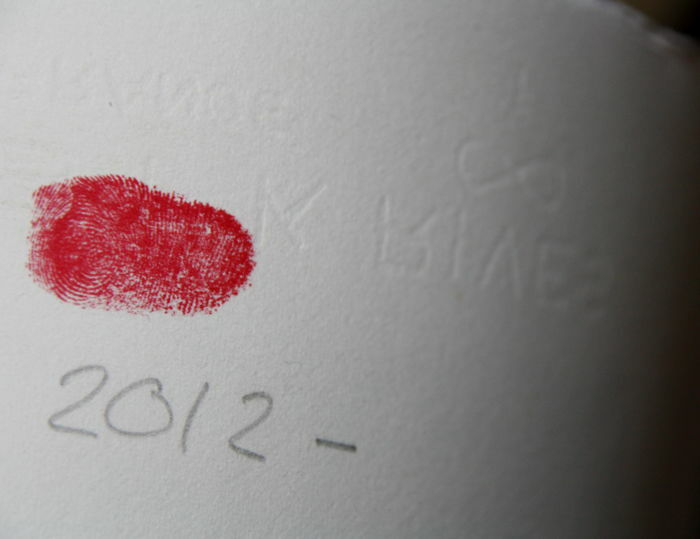 Extremely rare, very hard to find. 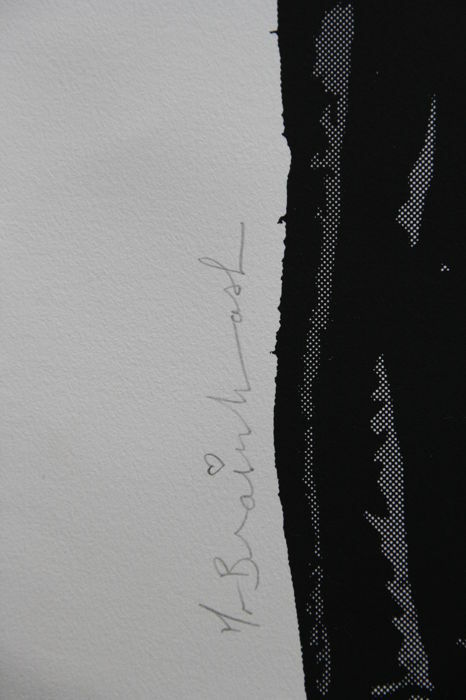 Hand signed and numbered with thumb print on the back.